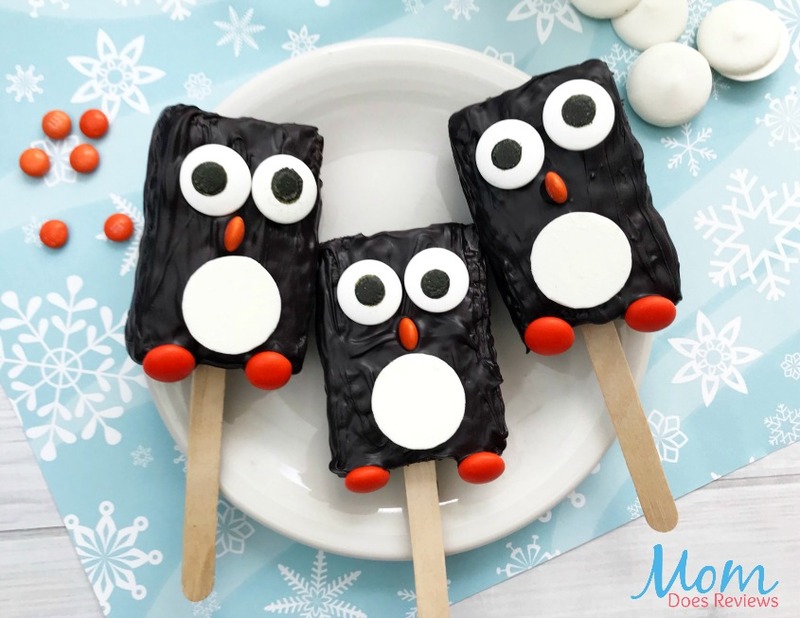 Make these fun Penguins for those Holiday Parties, Birthday parties and More! 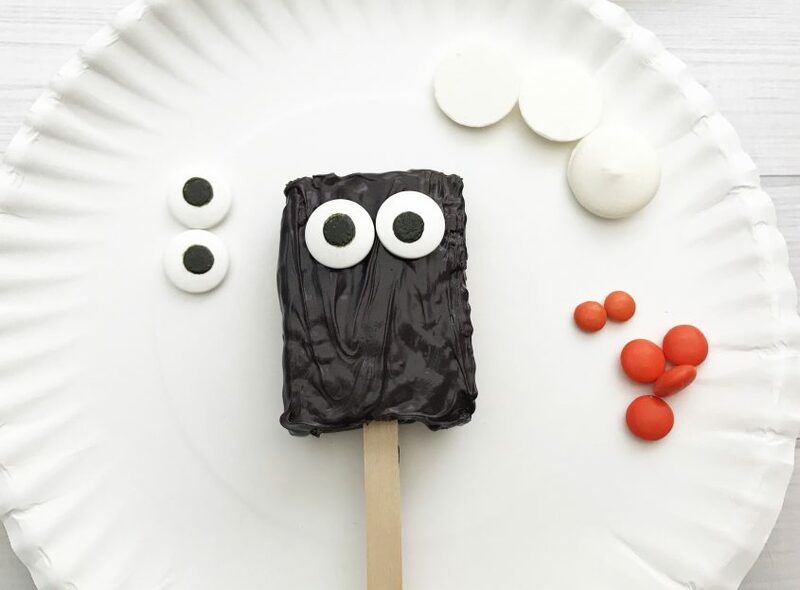 Need a fun idea that creative and unique for all those holiday parties? 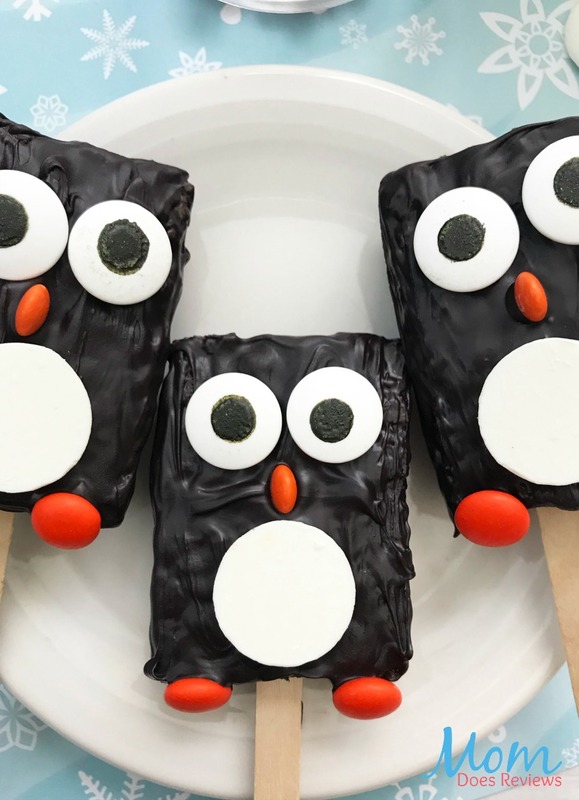 These cute penguins will waddle in and steal the show. 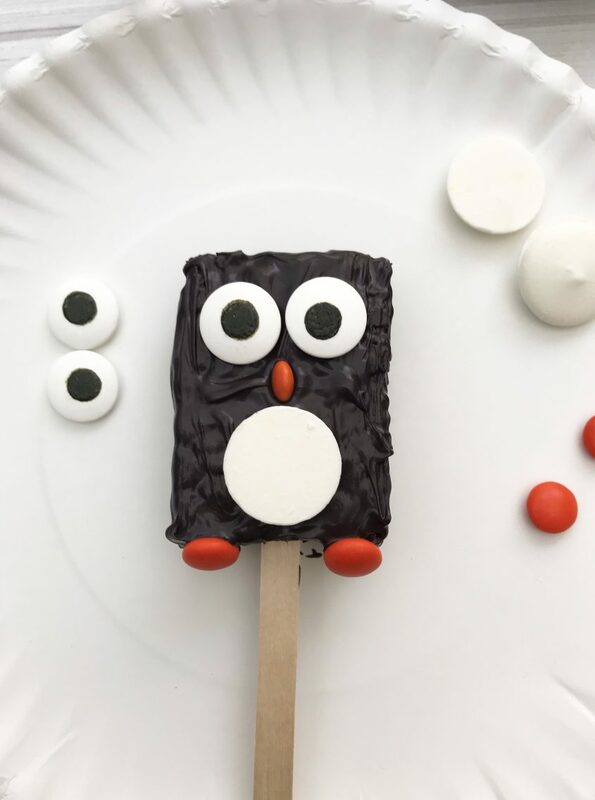 They are easy to make, no baking required! Be sure to check out our Penguin Donuts too! Open the Kellogg’s Rice Krispie Treats and discard the wrappers. 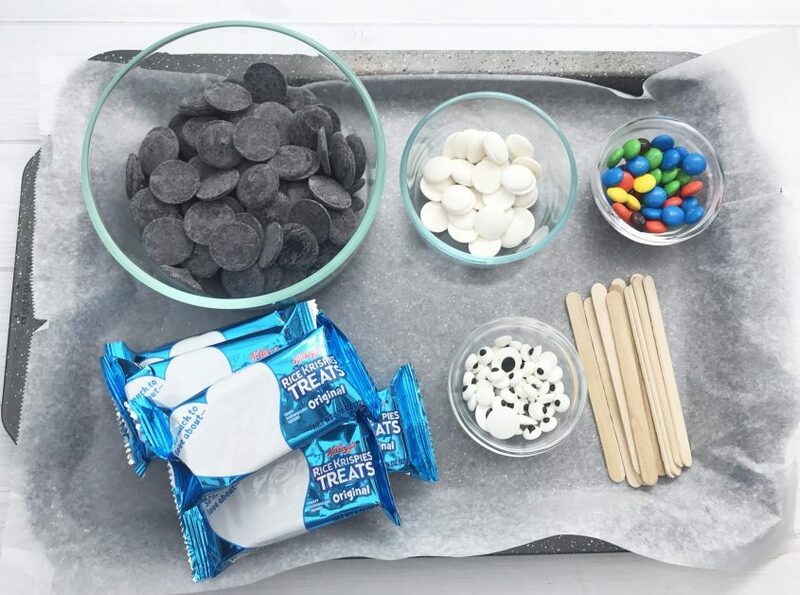 Place the Rice Krispie Treats on a plate and in the fridge for 15 – 20 minutes. 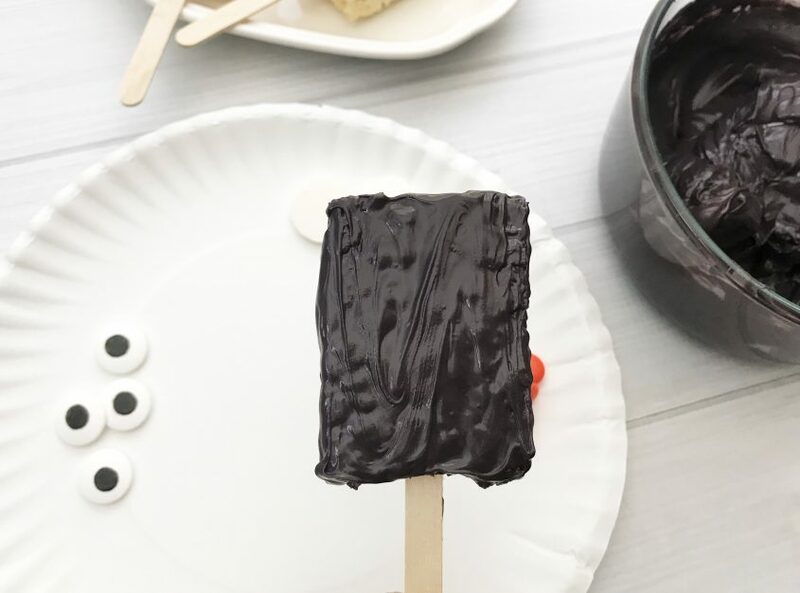 Pour the bag of Wilton black chocolate candy melts into a microwave safe dish. Heat in the microwave in 30 seconds increments, stirring until melted. 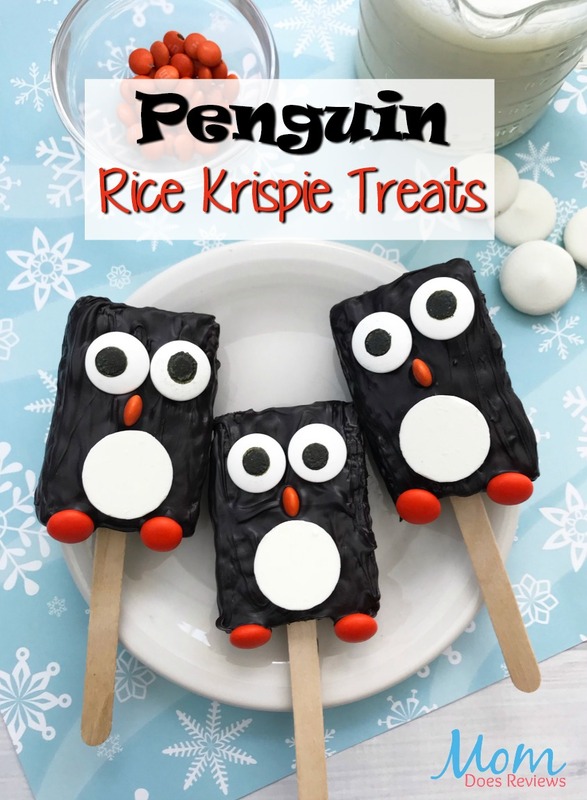 Remove the Rice Krispie Treats from the fridge and use a spoon to coat each Rice Krispie Treat with melted chocolate allowing the excess chocolate drip back into the bowl. Place 1 bright white candy melt under the nose for the penguin’s belly. Lastly place 2 orange M&M’s at a slight angle on the bottom of the penguin for feet. Repeat with all the penguins.